It’s almost Friday, it’s almost Friday! I would like to officially rename Thursday “almost Friday”. It just has a better ring to it. Last night a friend and I had a different version of girl’s night- an evening in with the one and only Jillian Michaels! We started with level 1 and decided to do level 2 as well. Considering that I had a solid speed work session yesterday morning I was completely spent by the end! I used to do 30DS religiously and I had all the levels memorized but this was my first time doing level 2 in SO long. It felt extra hard last night but that might have been because we did it immediately after level one. Either way, it was a great strength workout and I felt really pleased with myself. I made myself a simple and quick dinner, as it was much later than I usually like to eat, of a kale + egg white scramble, mini bagel with veggie cream cheese and cottage cheese with half of a banana. Lots of food groups were covered. This morning I got to wake up to mostly melted snow but I knew it should be a cross training day. I hit the gym for an easy hour (7 miles) on the elliptical that was only made bearable by reruns of Bones on Netflix. 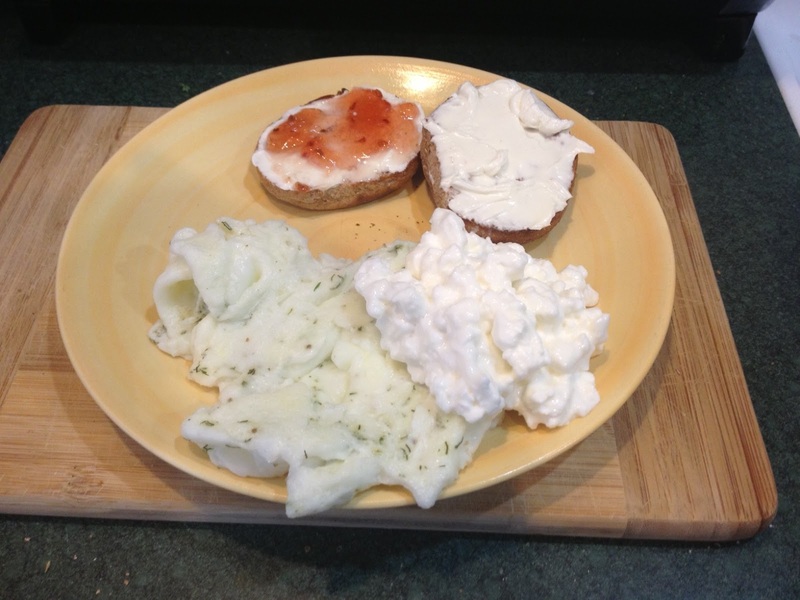 Egg white scramble, cottage cheese, mini bagel (I need these out of my house ASAP!) w/ cream cheese and jam. I’ve deemed today Thirsty Thursday which has a much different meaning to me now than it would have 5 years ago. My goal is to drink 100 oz. of water today (and every day, really) and I am on track to achieve it. 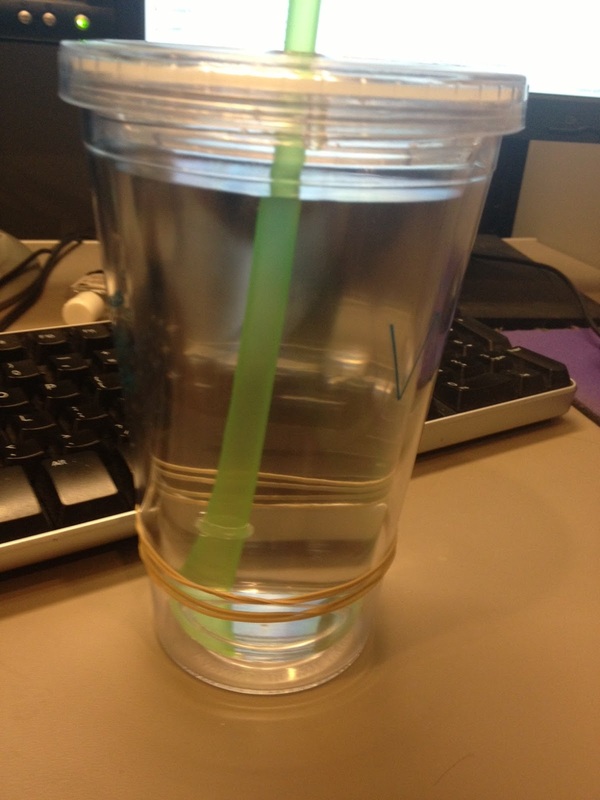 I’ve put rubber bands on my cup that I remove each time I finish it. This cup holds 16 oz. so I have to drink about 6.25- 4 left and it’s only 11a. Should be easy enough, right?